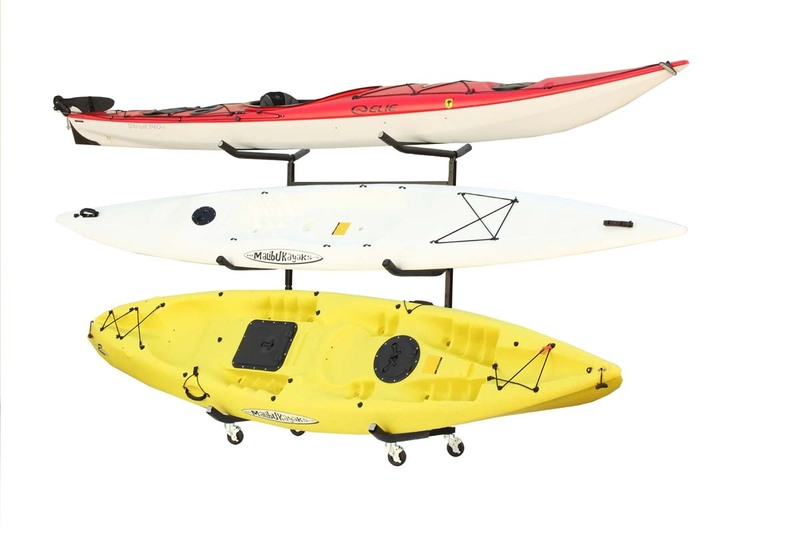 The Sparehand KC-123 Catalina Plus Freestanding Triple Kayak or Canoe Storage Rack has a 250-pound maximum weight capacity and is a convenient storage solution for any style of kayak or canoe. 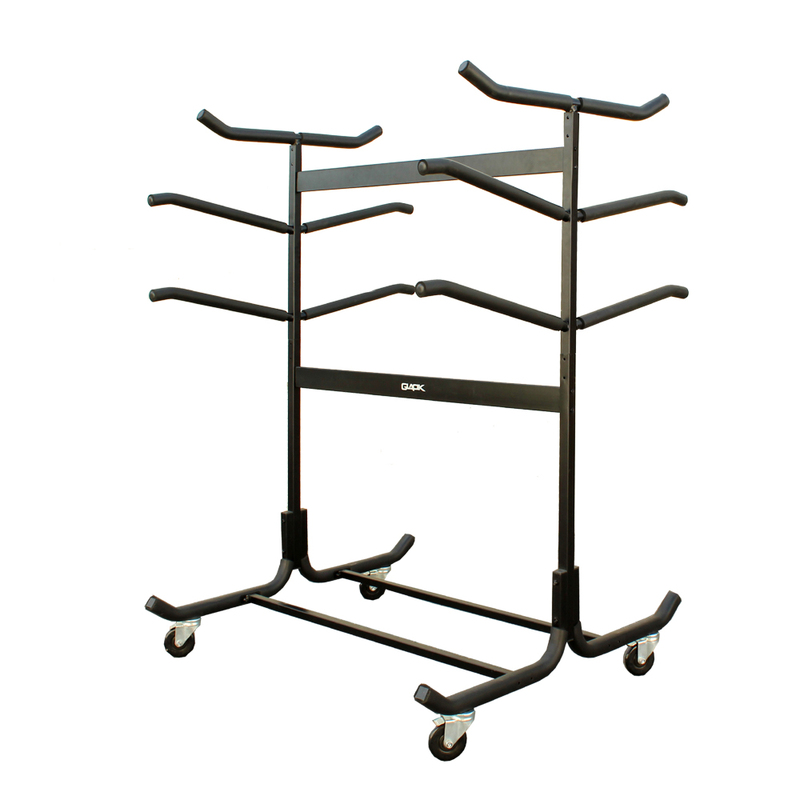 The KC-123 has a space saving design allowing it to fit right against a wall for easy storage. 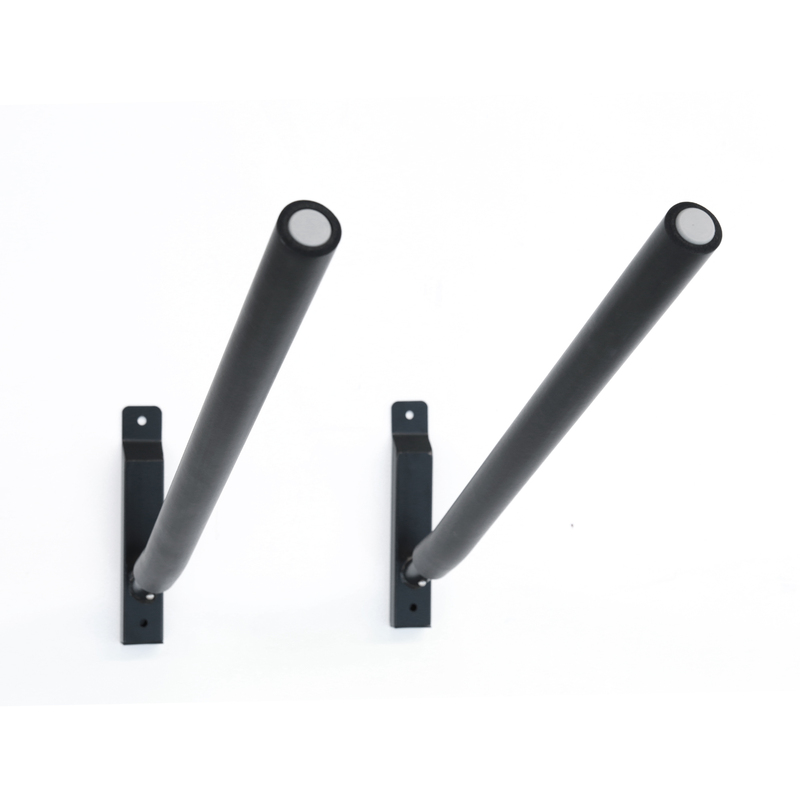 Constructed of durable steel with a black finish, this unit stores a maximum of (3) kayaks off the ground and out of the way. 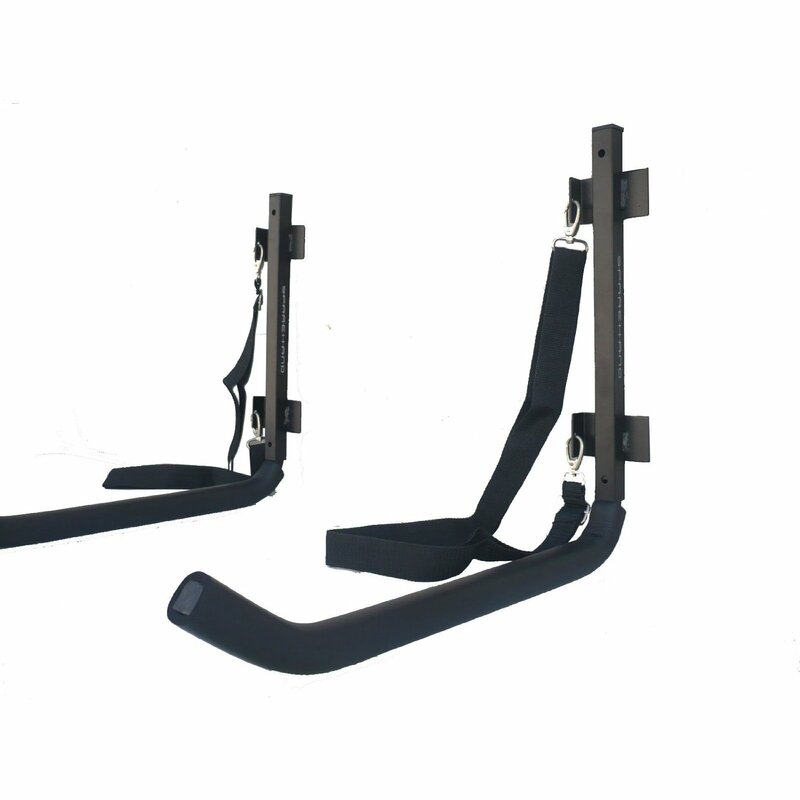 The KC-123 can be used in all weather conditions for indoor and outdoor use and features an exclusive flat top cradle design for larger canoes or kayaks. The heavy-duty rack fit kayaks and canoes with a length up to 20-feet and a hull size up to 36-inches wide and 18-inches deep. The Sparehand KC-123 can help you safely transport your canoes and kayaks to and from your car with the addition of the G-C4 Caster Wheels (sold separately). 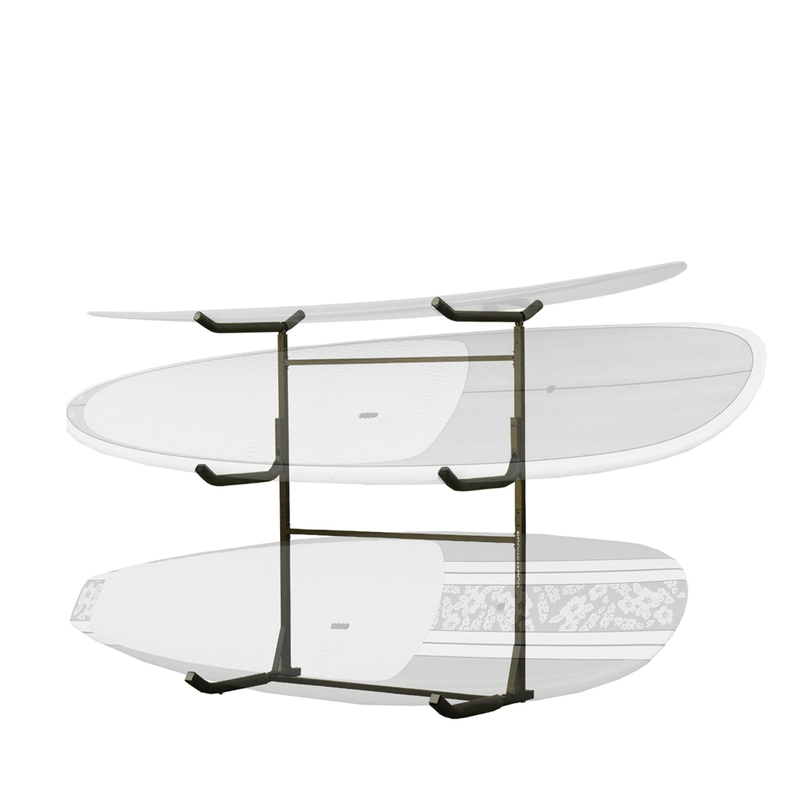 The top level can be used as a work stand, repair platform or a storage space for paddles and other accessories. This unit is quick to assemble with no drilling into walls or ceilings. 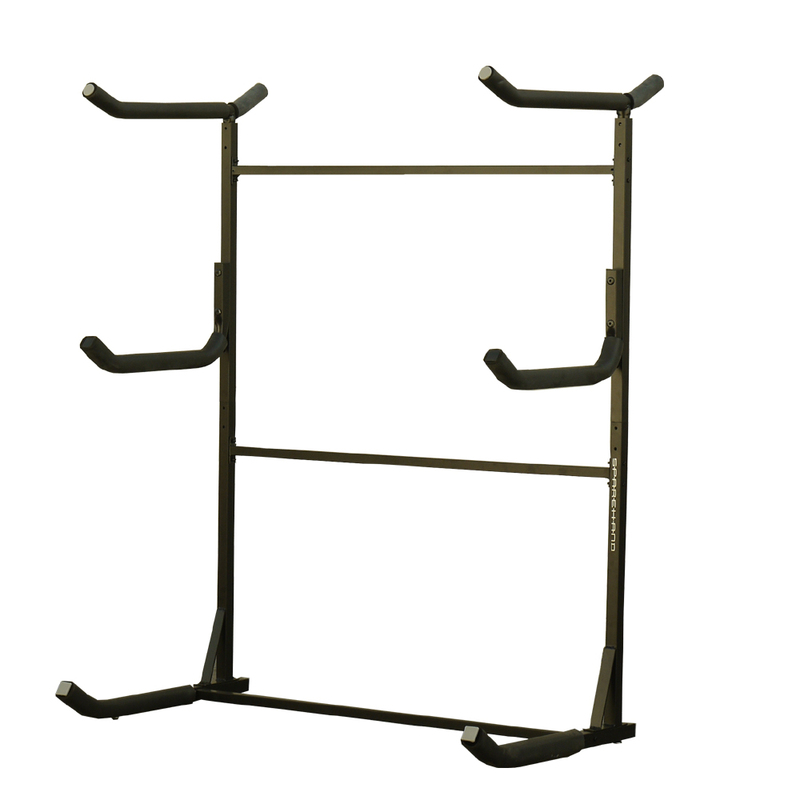 The Sparehand KC-123 Catalina Plus Freestanding Triple Kayak or Canoe Storage Rack comes with a 1-year limited manufacturer’s warranty to protect against defects in material and workmanship. You may use caster wheels model # G-C4 (sold separately) on this system.